The nominee for the No. 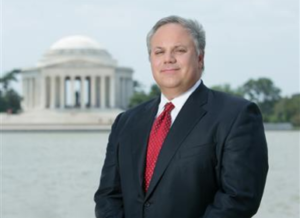 2 position at the Department of the Interior, David Bernhardt, had faced questions over his pledge to stop lobbying. The Senate approved President Donald Trump’s choice of a lobbyist for a top environmental post today, shrugging off complaints that the nominee’s work for agribusiness concerns and oil drillers posed potential conflicts of interest. In voting to confirm David Bernhardt to the No. 2 post at the U.S. Department of the Interior, Senate Republicans pushed past evidence that he secretly lobbied for his biggest client, the powerful Westlands Water District in California’s Central Valley. At a hearing last month, Bernhardt testified that he stopped lobbying for Westlands on Nov. 18, 2016, at a time when he was serving on the Trump transition team. But since then, Bernhardt had helped draft two major California water bills and wrote a proposed executive order for Trump on water issues – all at Westland’s behest. Reveal from The Center for Investigative Reporting’s stories on the issue were based on a trove of Bernhardt’s emails first obtained by the Planning and Conservation League, an environmental group. Bernhardt, who worked as a solicitor for the Interior Department before becoming a lobbyist, never commented on the emails. Westlands contended that he was not lobbying but giving legal advice. The good-government group Campaign for Accountability asked federal prosecutors to investigate whether Bernhardt had violated lobbying laws. Meanwhile, Democrats, led by Sen. Maria Cantwell of Washington, had sought to head off the nomination. In debate last week, Cantwell said that by nominating Bernhardt, the president was “not draining the swamp, he’s filling it,” recalling Trump’s vow to clean up corruption in Washington, D.C. But today, Republicans heaped praise on Bernhardt. 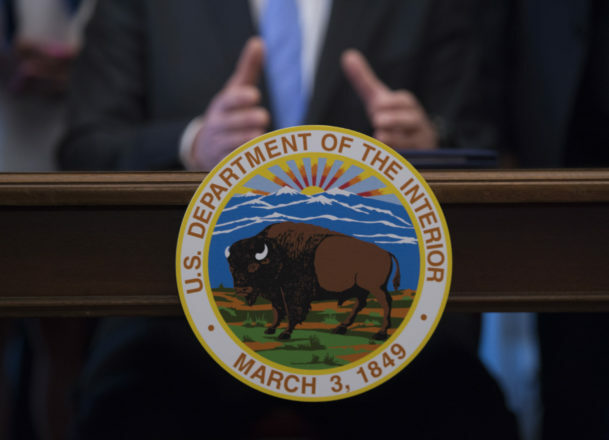 Sen. Orrin Hatch of Utah said Bernhardt would be “a great addition to our government,” and Sen. Lisa Murkowski of Alaska promised he would maintain a proper balance between conservation and development on public lands. The vote was 53 to 43. Lance Williams can be reached at lwilliams@revealnews.org. Follow him on Twitter: @LanceWCIR.